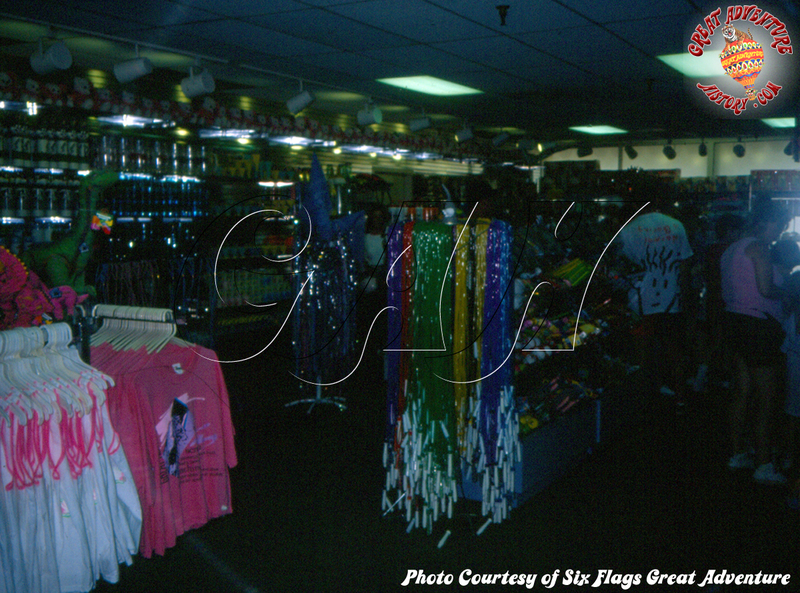 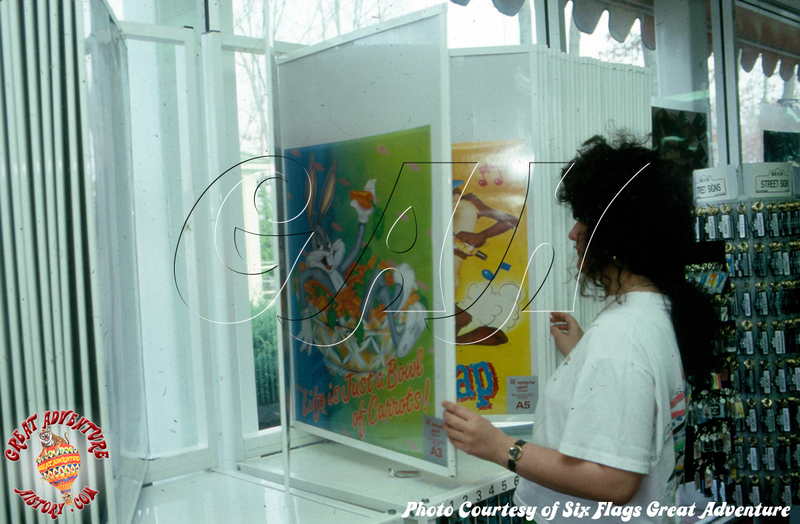 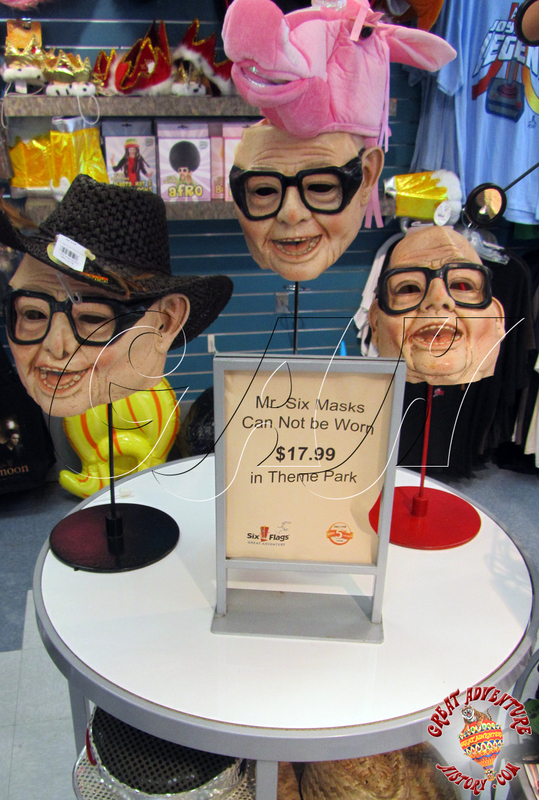 Ridiculous novelty souvenirs have always been one of the staples of theme parks, and Souvenirs and Crazies was always the place in Great Adventure to find the teen oriented merchandise. 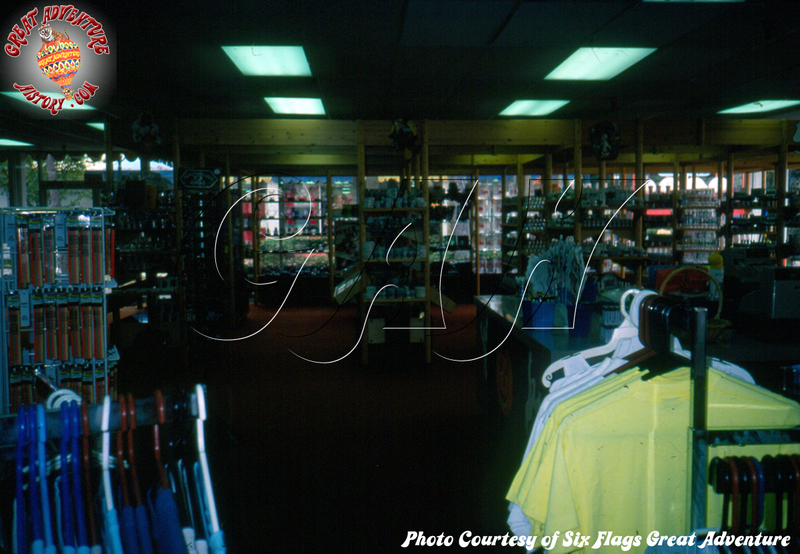 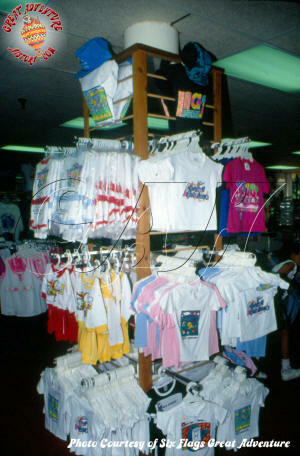 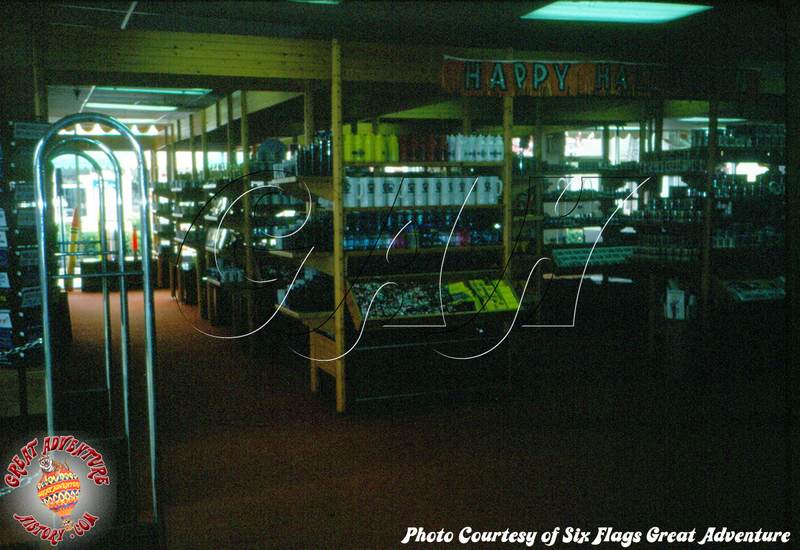 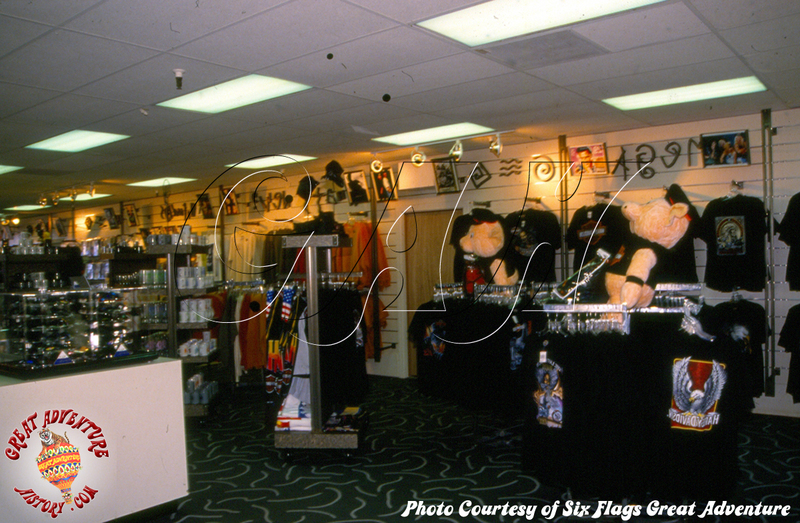 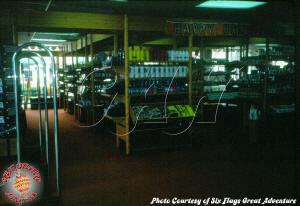 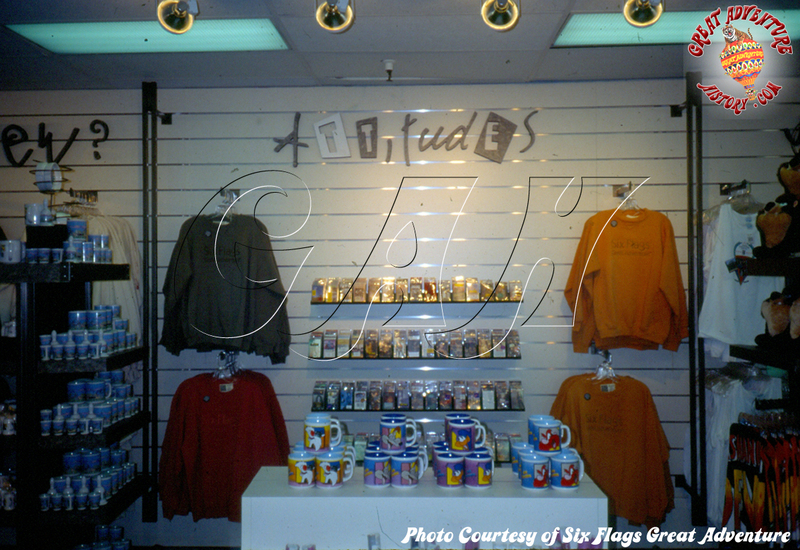 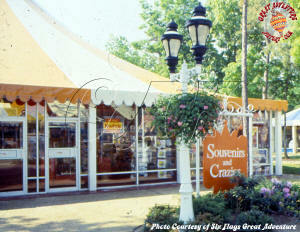 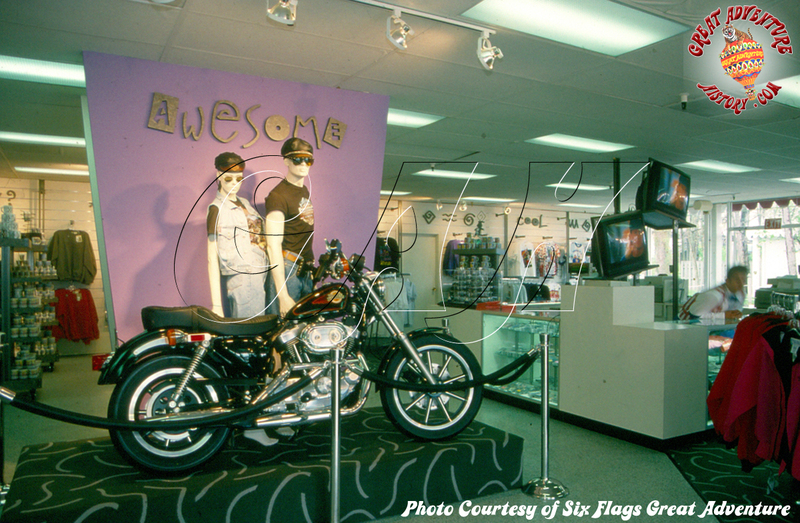 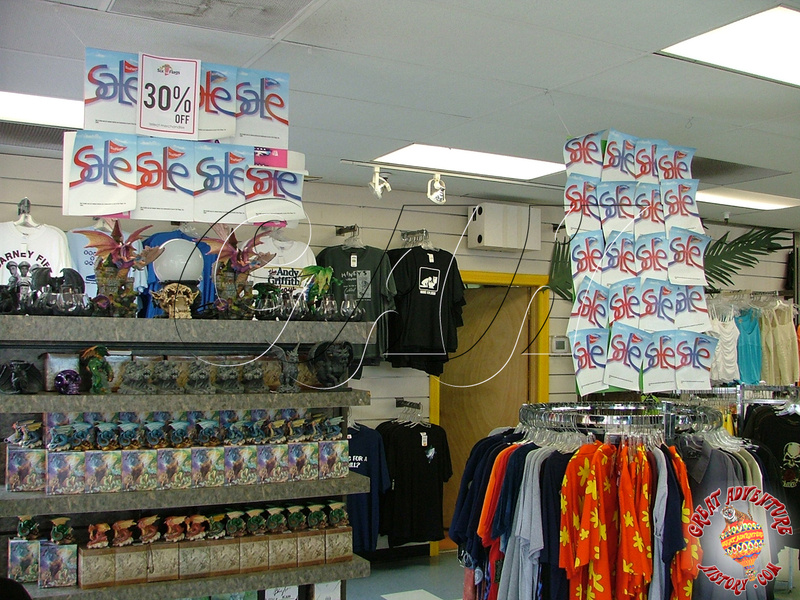 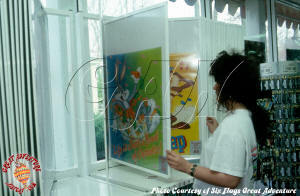 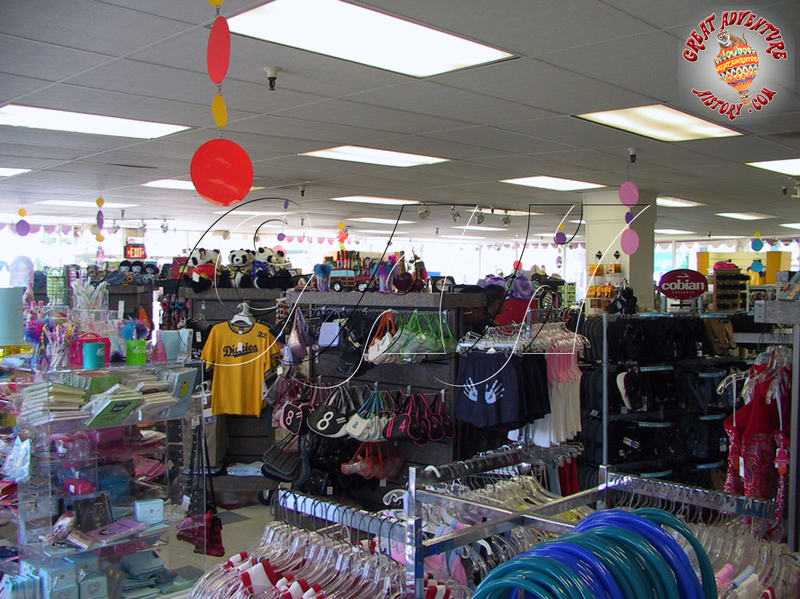 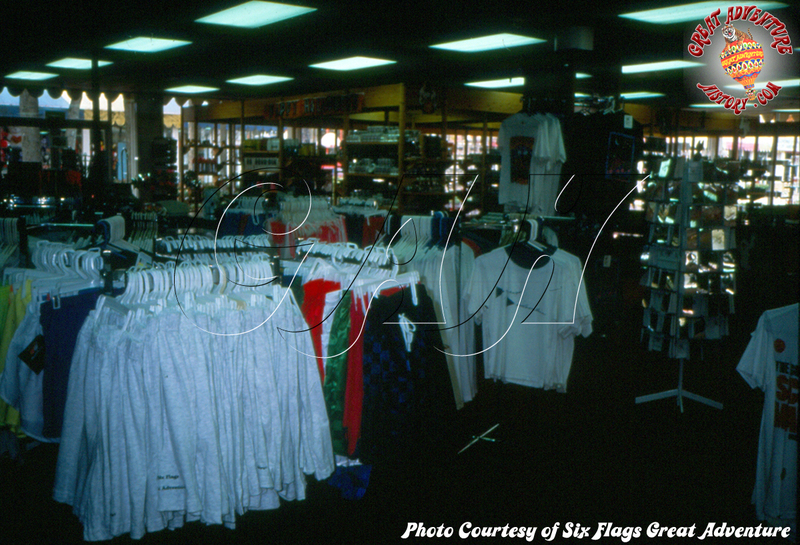 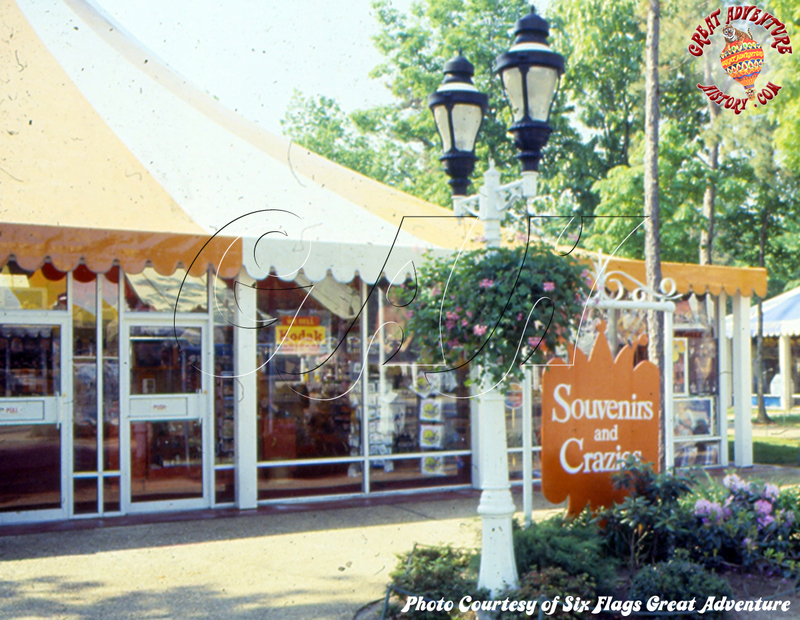 Souvenirs and Crazies was the destination for the teen oriented merchandise like t-shirts, posters and other novelty gifts. All kinds of unique park gifts were available in this shop. 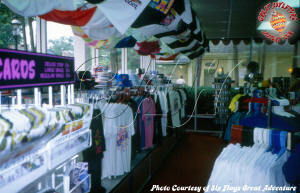 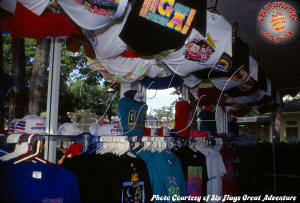 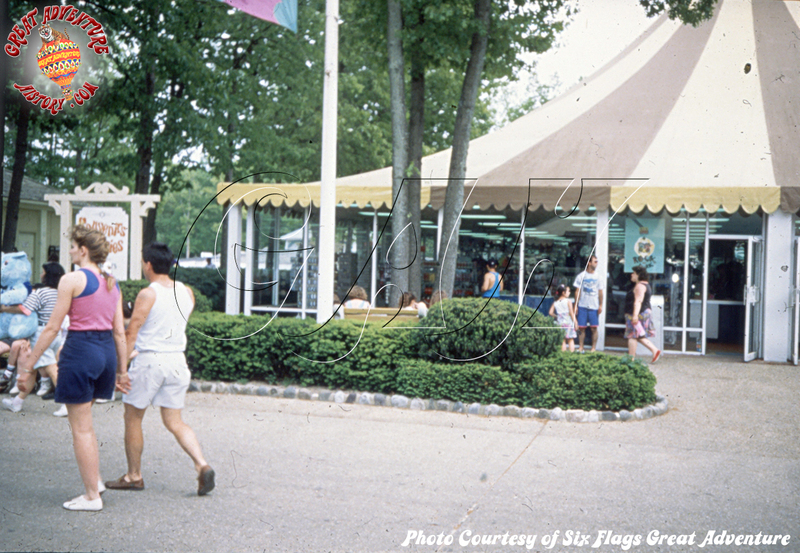 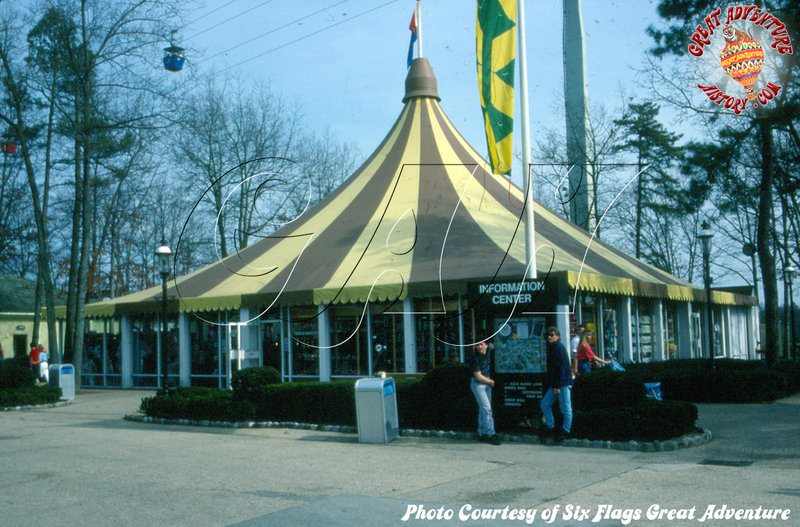 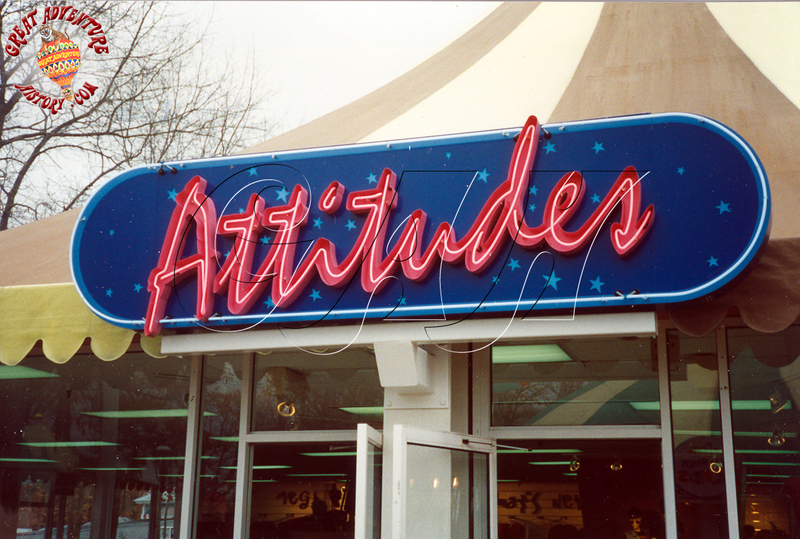 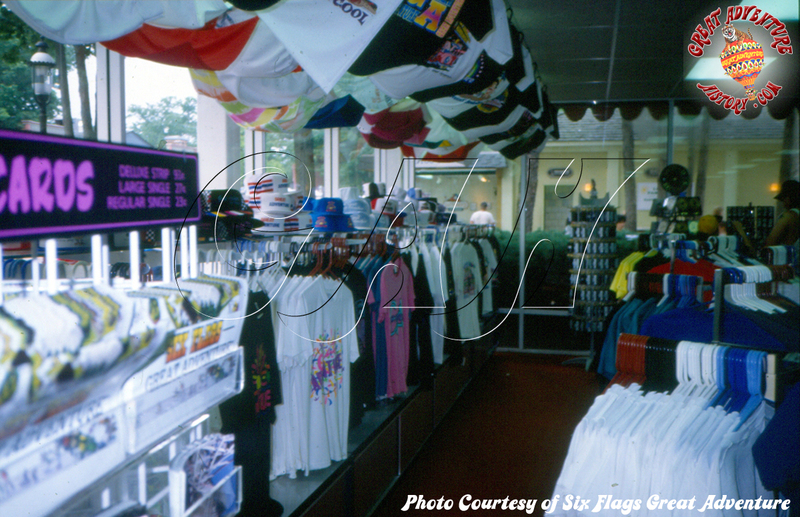 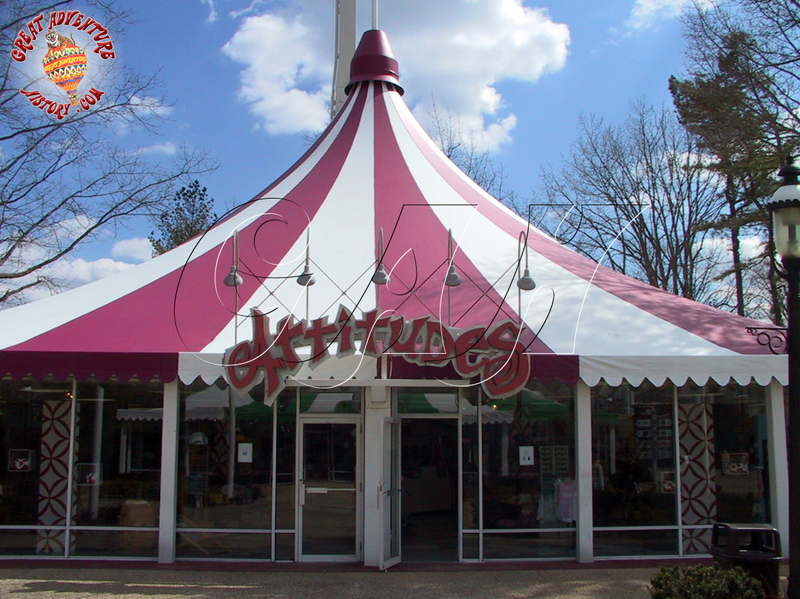 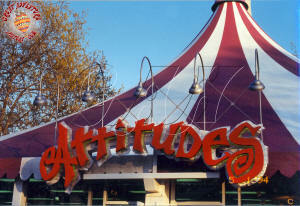 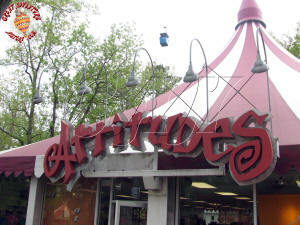 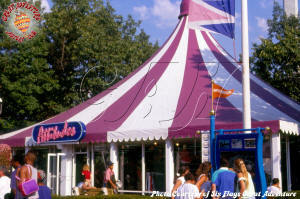 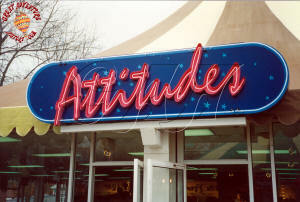 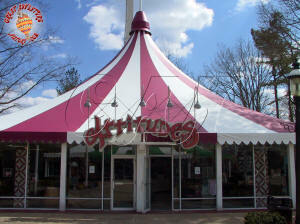 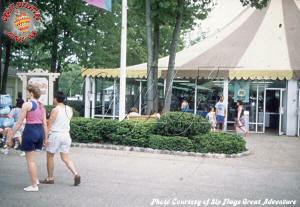 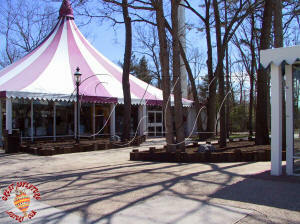 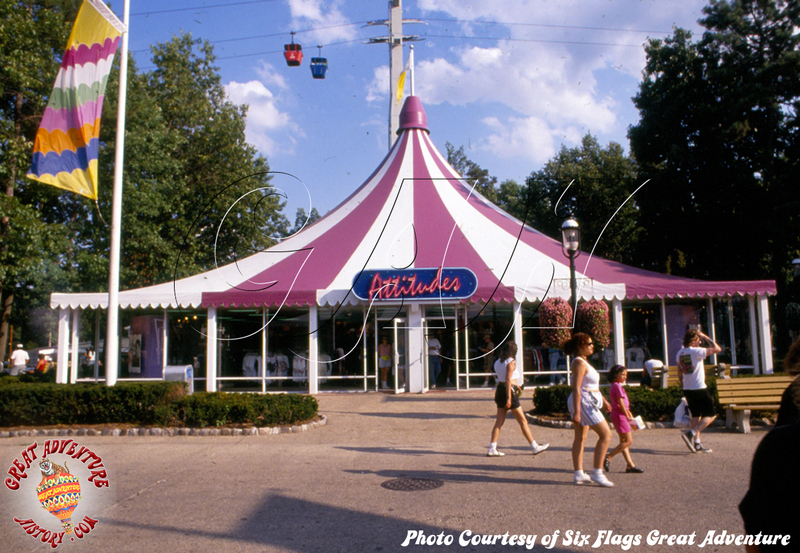 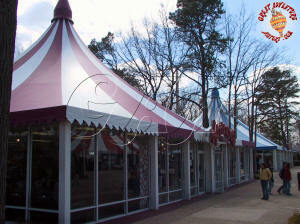 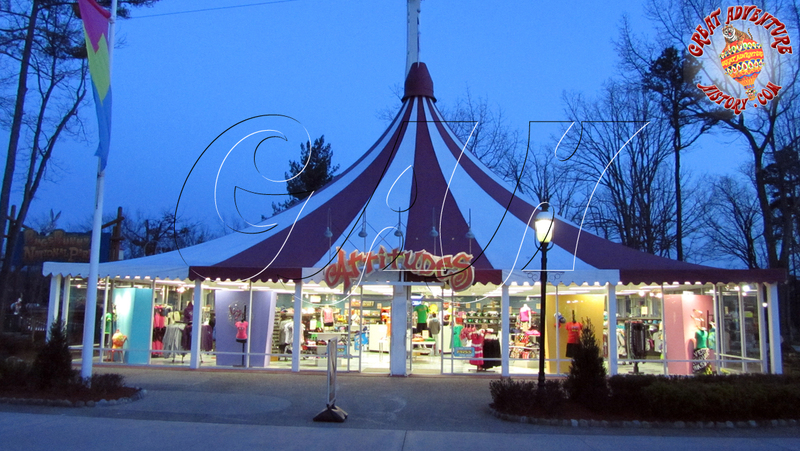 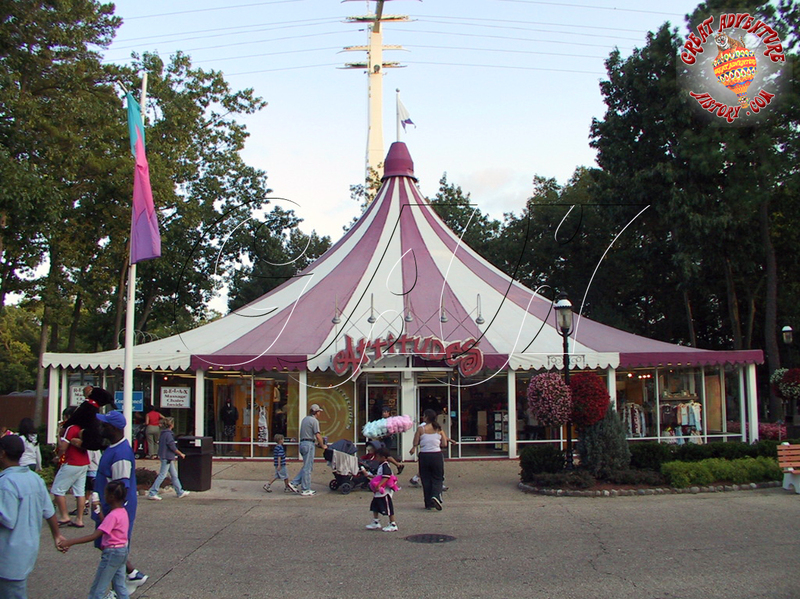 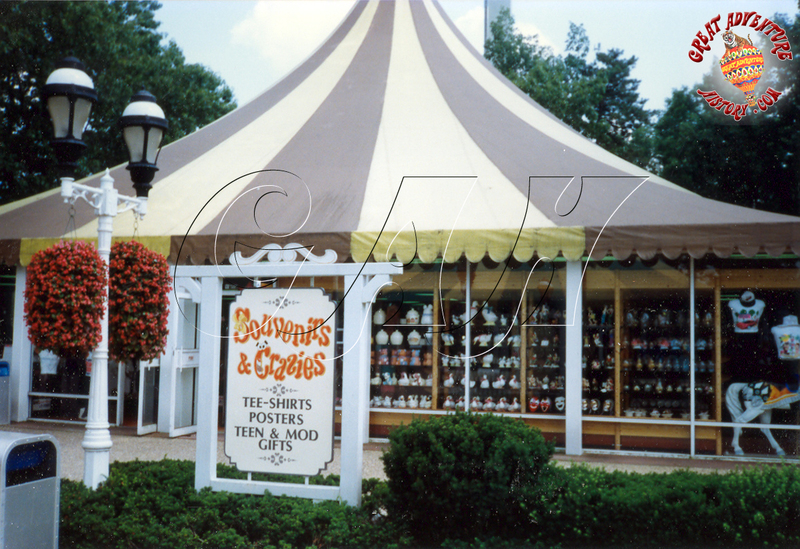 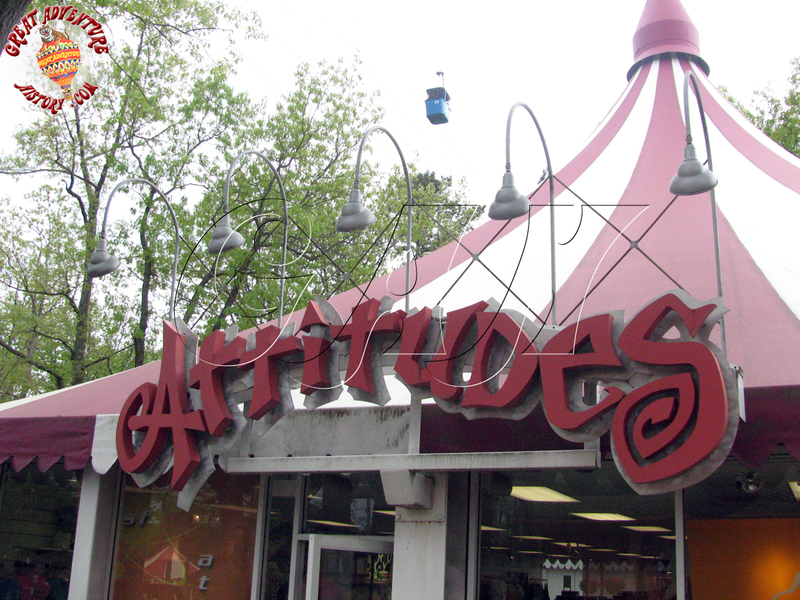 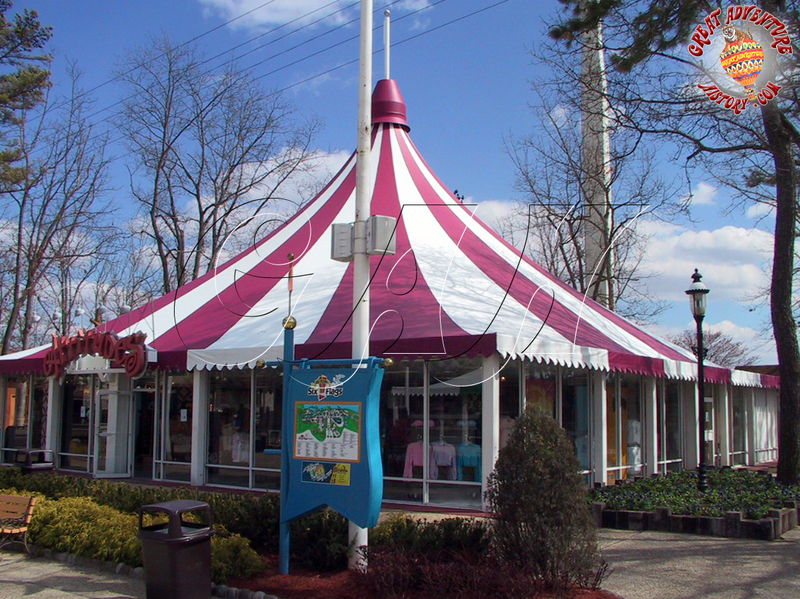 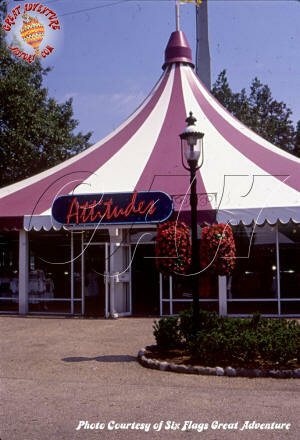 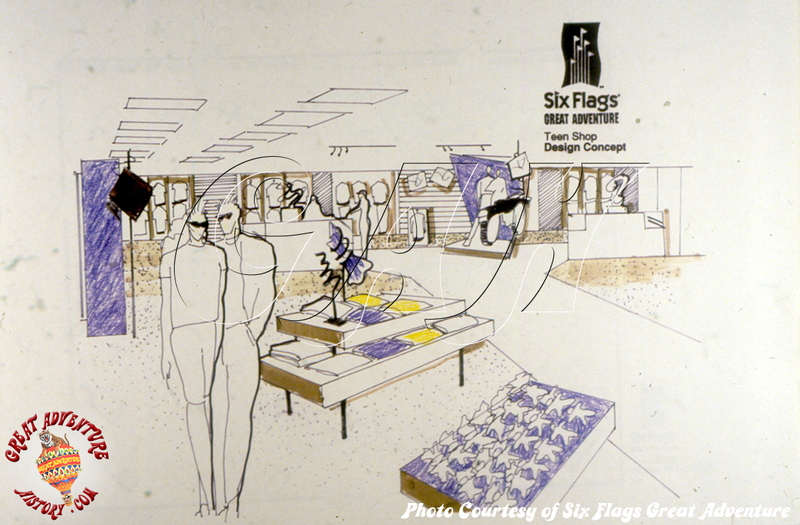 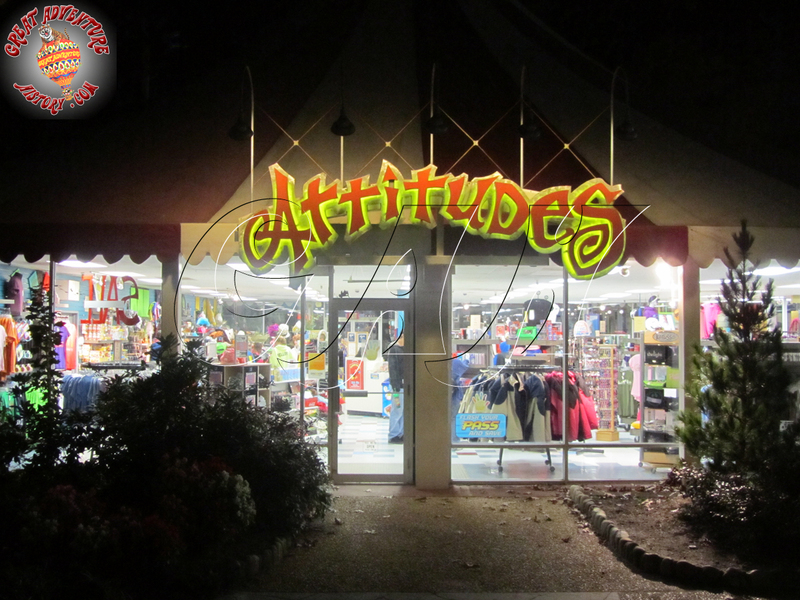 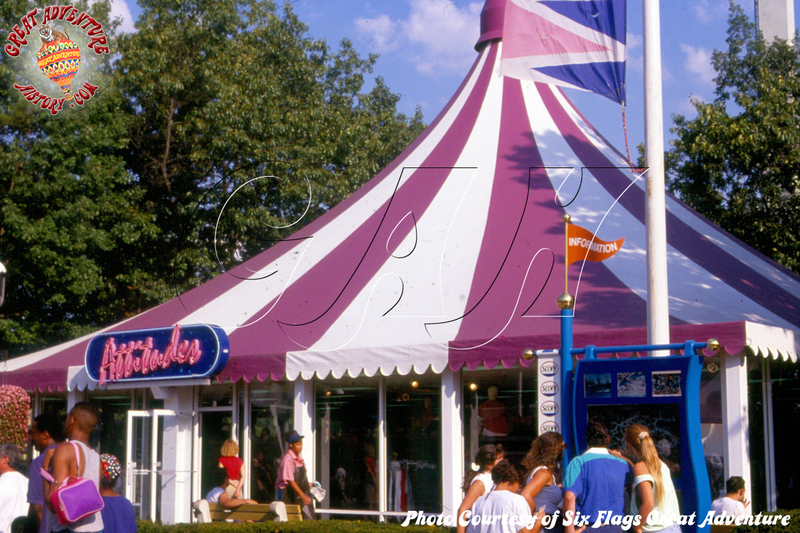 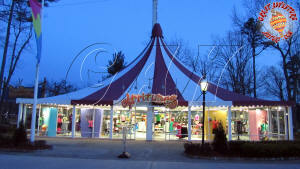 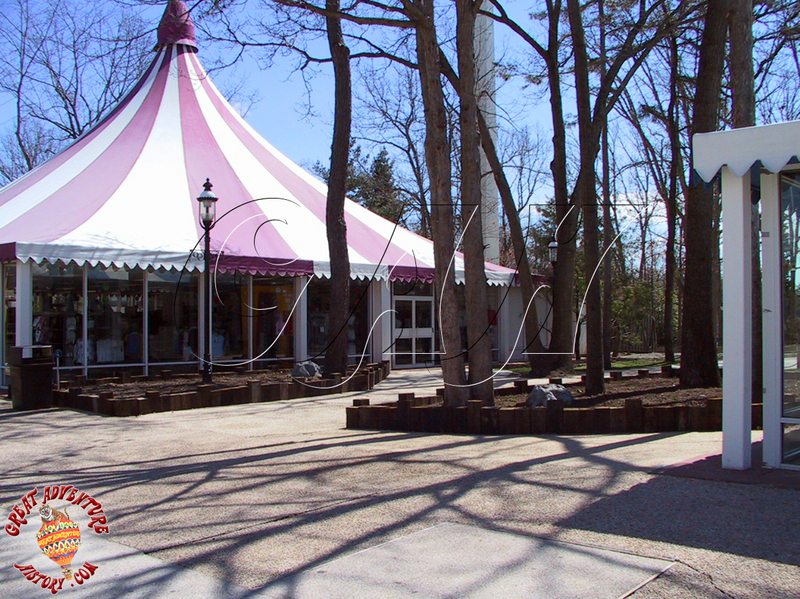 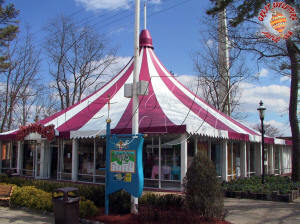 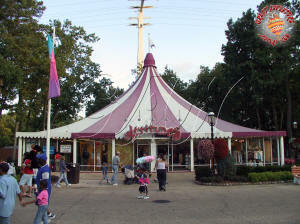 After 1993 many of the park souvenirs that used to be carried in the shop were moved to the shops of the front gate area on Main Street, and the tent needed a new purpose and identity taking the name Attitudes. 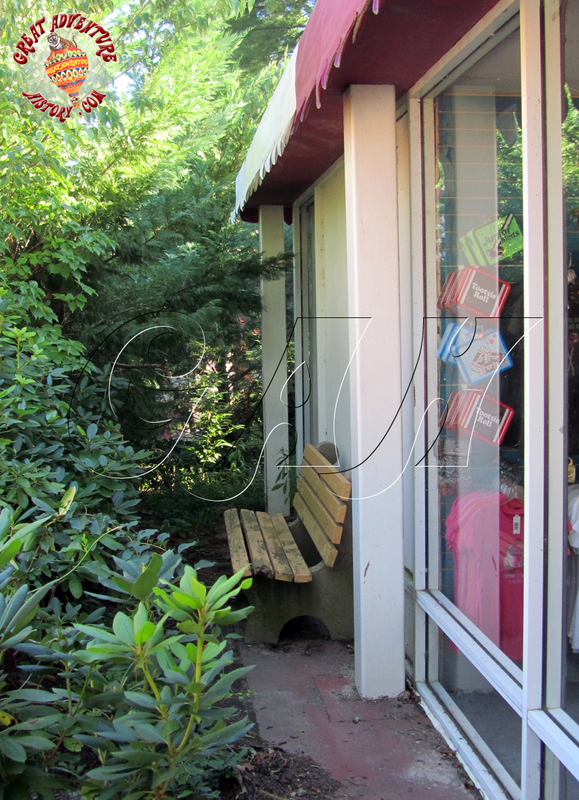 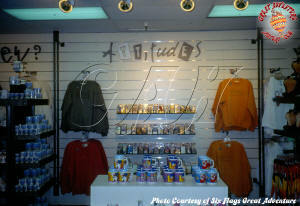 With the new name the shop become more slick and hip with redesigned displays and layout. 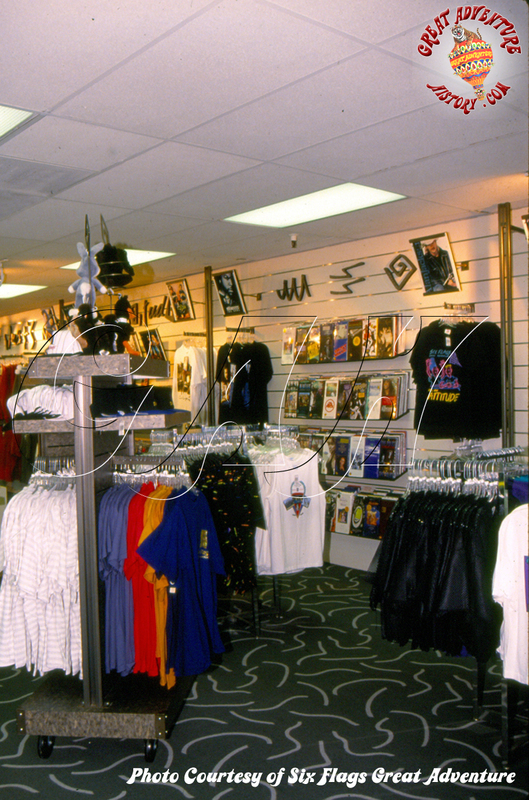 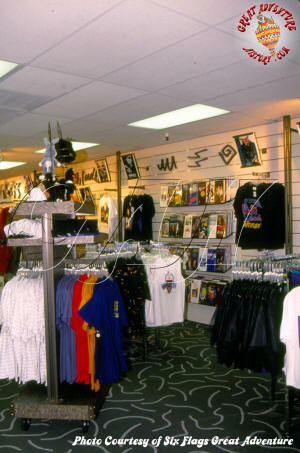 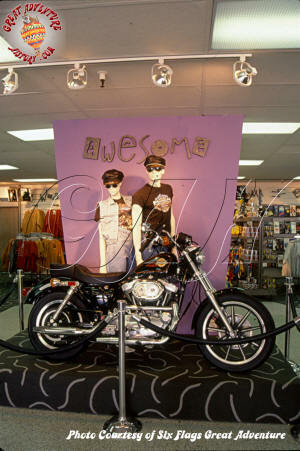 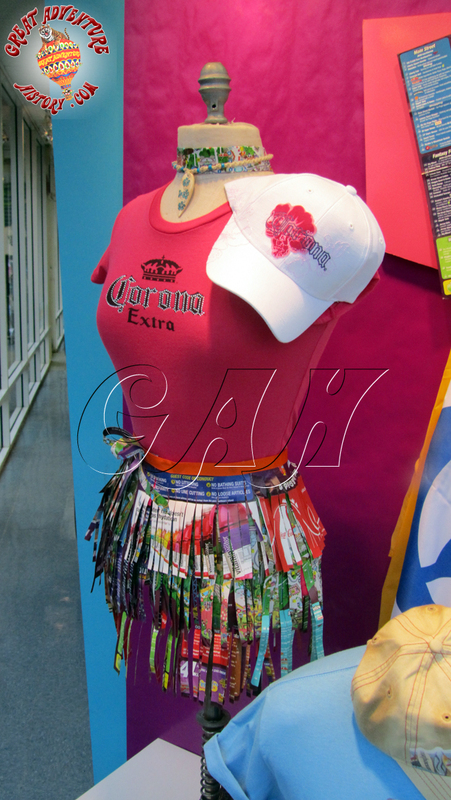 The new merchandise was less park oriented and more like a teen oriented mall store with surf wear, rock & roll t-shirts and other more "edgy" merchandise. The new design was really bold, but like any kind of trendy store quickly became dated looking as styles changed and what had been hip and modern suddenly became yesterday's news. 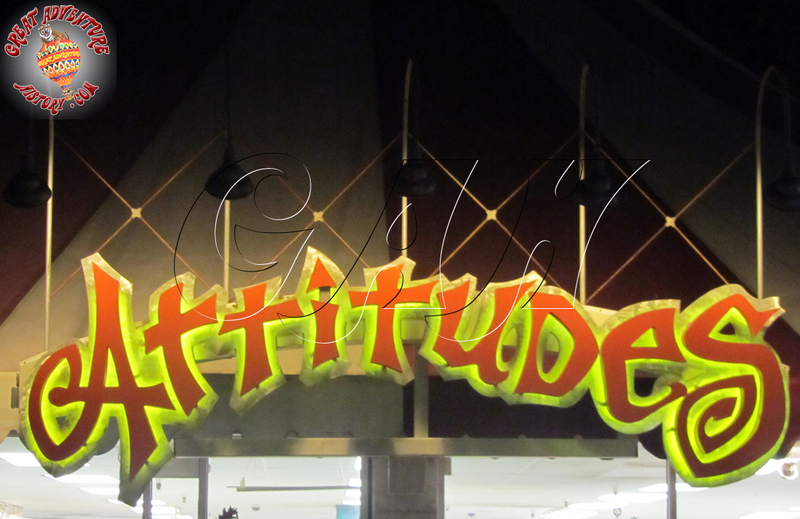 As updates occurred inside with changes in merchandise and display fixtures, an updated signs were added to the exterior as well. 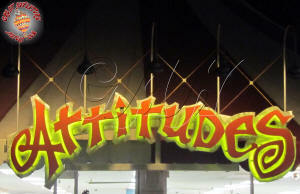 The new signs featured stylized three dimensional letters mounted to brushed aluminum backing. 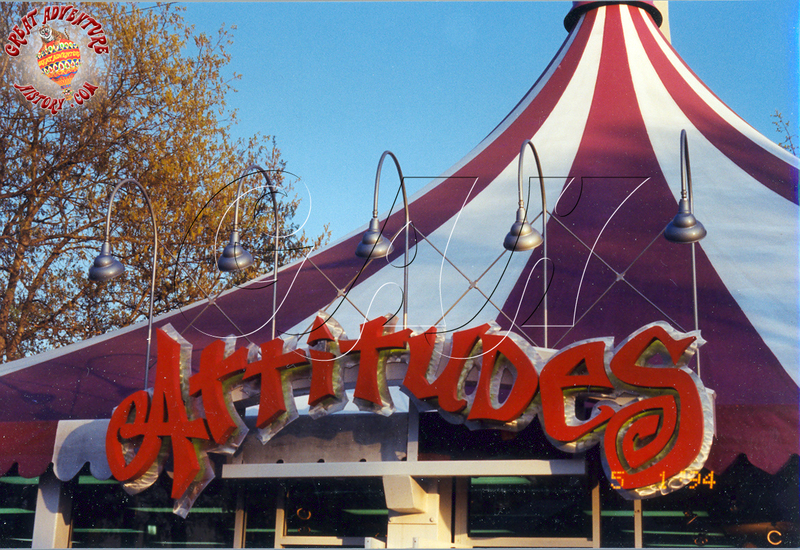 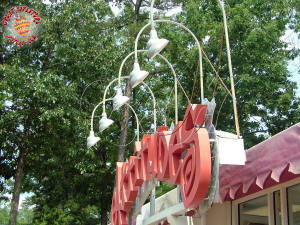 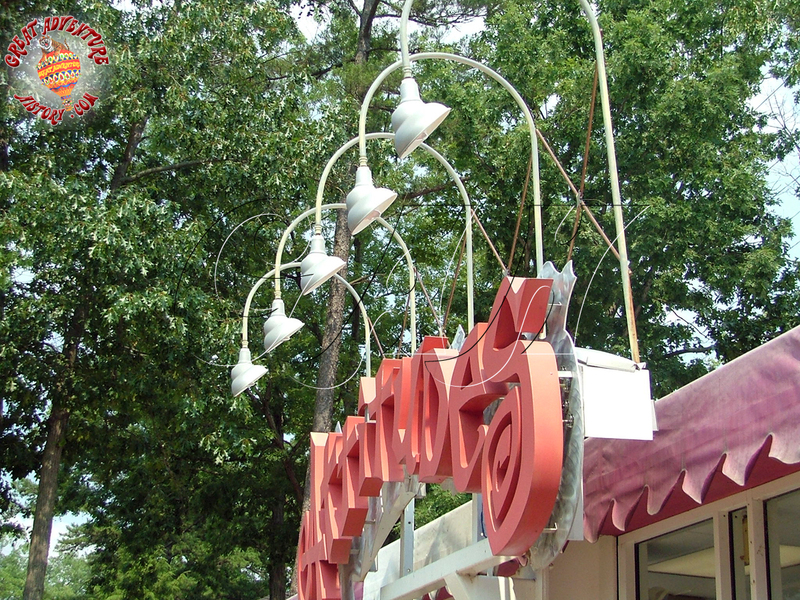 The signs originally featured yellow neon behind the letters which glowed against the silver aluminum after dark and a series of spotlights mounted above the sign helped show it off. 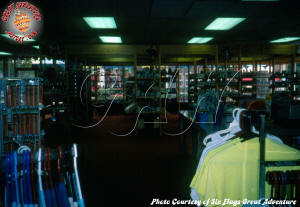 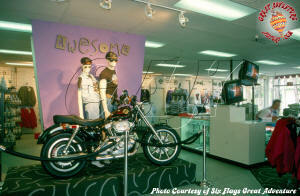 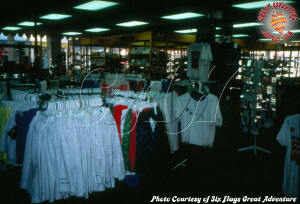 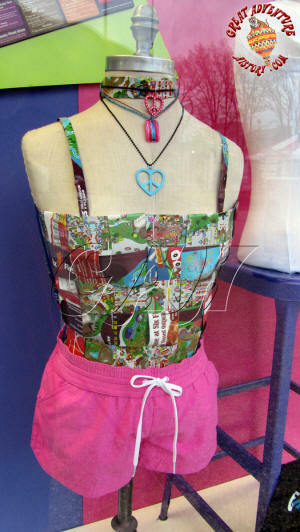 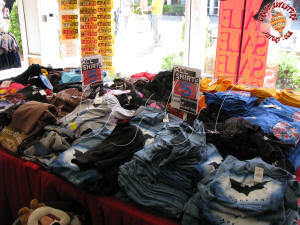 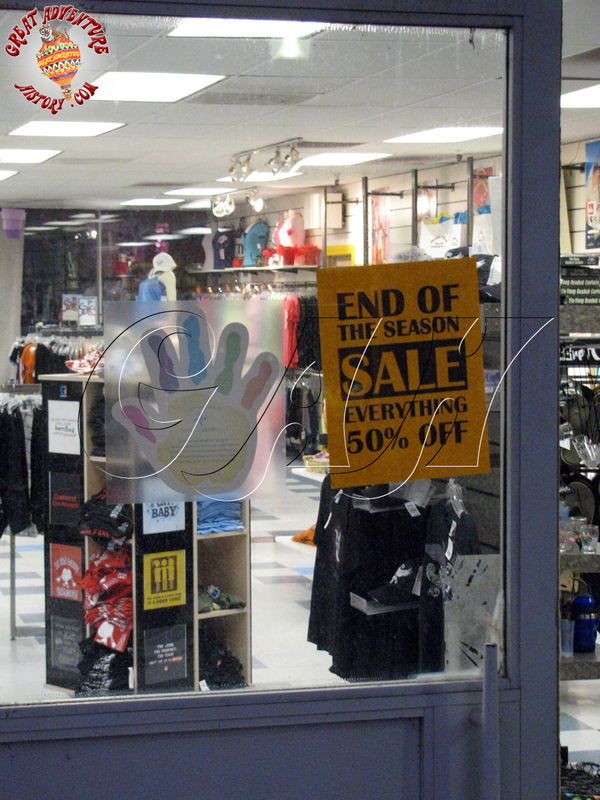 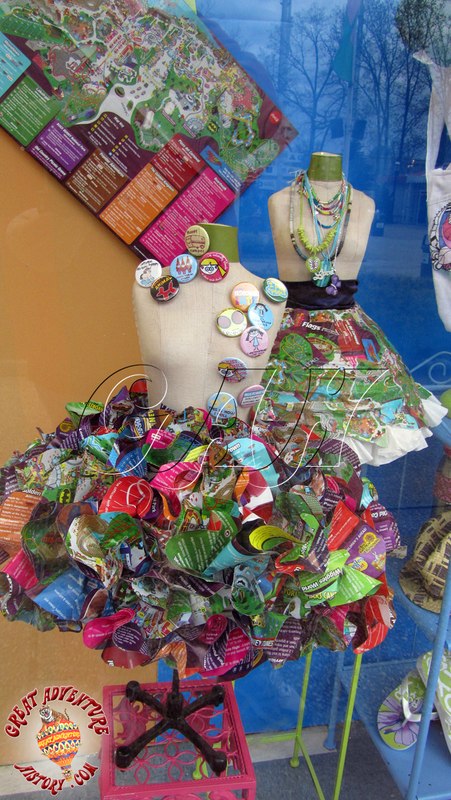 In order to stay current, the store is constantly changing out merchandise and following all of the latest trends.